If your dog or cat is scheduled for surgery, we request you to take a few steps to prepare. Following these steps will help everything run smoothly on the day of the procedure. 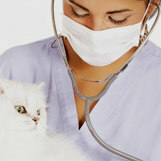 Any time your pet is scheduled for anesthesia, fasting is required. Why? Tranquilizers and anesthesia drugs decrease the swallowing reflex. If your groggy pet vomits from the drugs, there is risk of inhaling the vomit into the lungs. This can cause a type of pneumonia called aspiration pneumonia, which can be fatal. Different veterinarians will have different time requirements for withholding food. Sure, your dog or cat may complain about it, but please don’t give in! It truly is for your pet’s own safety. Puppies and kittens have little energy in reserve, so we may instruct you to give them a small meal early in the morning. Please ask us first before you do this. Pets with diabetes or those on medication need different instructions. Please discuss this with us before the day of surgery. Certain animals, such as rabbits, rodents, snakes and turtles have different fasting requirements. Please discuss this before the day of surgery. Before the procedure, ask your veterinarian if you need to give medications in the morning — some may be needed, but some can be skipped. Also bring in your pet’s medications or food the day of surgery. It’s always better for your pet to eat his normal food, whether it’s grocery-bought food or a special diet. If your pet needs confinement after surgery, please make sure you have a room, a play pen or a crate prepared for the day your pet comes home. In some cases an e-collar (“The Cone”) is necessary to stop your pet from licking or chewing at incisions-- we have tried-and-true standard white cones available. If you wish a soft e-collar or a doughnut-type collar, and its appropriate, then please pick this up before the day of surgery. You will need to drop your pet off first thing in the morning, even though surgery may not occur until late morning or the afternoon. Why? There are multiple reasons, depending on your pet’s specific situation. This is just a few things-- overall, we like to get them in and settled, and watch them for anything that may be a concern before anesthesia is performed. We have to fill in several documents, regarding the physical exam, the anesthesia plan and the care needed for each pet in front of us. In addition, surgery can occur earlier than expected if there is a schedule change. 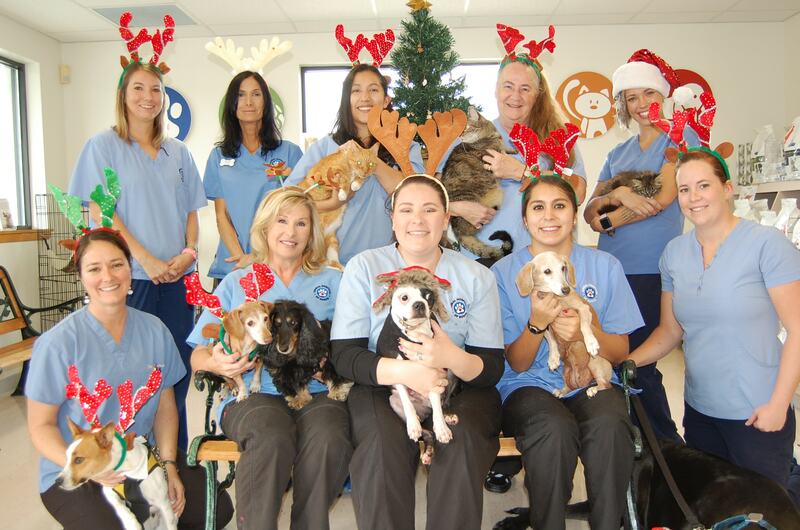 We want to be as prepared as possible so that your pet is safe during anesthesia and surgery. One last reason for the early drop-off is to ensure that your pet doesn’t get into any food by accident! Once you arrive at the hospital, you will need to read and sign an estimate and a consent form to make sure everybody is on the same page. It’s important to review them and ask the nurse or the receptionist to explain anything that’s unclear. Make sure you leave a reliable phone number so that you can be reached easily at any time. You will receive go-home instructions on pick-up. Please ask for an estimate if you have not yet received one. If you are not an established client, we require a deposit for the procedure. Once your pet has been dropped off, it’s time to try and relax by keeping your mind busy! If you have any questions or concerns, you can always call us. Author credit to Dr. Phil Zeltzman, www.DrPhilZeltzman.com.